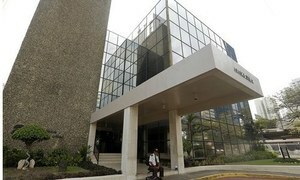 Britain has recouped some $253m, France $136m and Australia $93m, the ICIJ posts on its website. 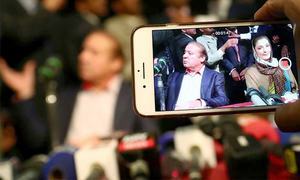 Says there is no TV set in his cell, heater is malfunctioning and he only gets one newspaper, claims PML-N leader. 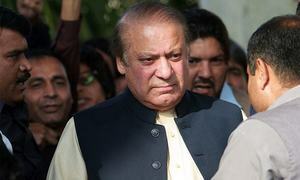 Court says petition cannot be heard until Nawaz's earlier appeal on the same matter is set for hearing. 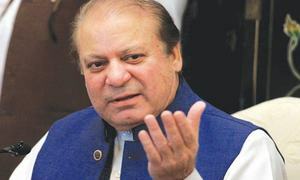 Nawaz Sharif made party in both appeals. 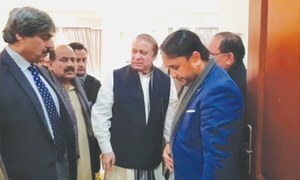 Nawaz's legal team meets Maryam, discusses legal issues related to appeal. 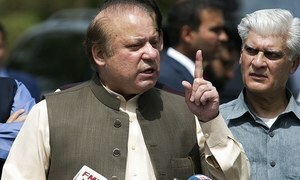 Nawaz’s counsel terms delay 'unusual'. 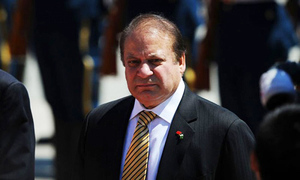 Former prime minister, who was being held at Adiala jail in Rawalpindi, was flown to Lahore from Nur Khan Air Base. This is the second time that the former premier has been convicted in a corruption reference this year. 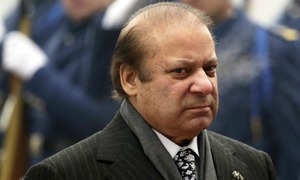 Former PM to travel from Rawalpindi's Adiala jail to Lahore's Kot Lakhpat Central Jail in his personal vehicle tomorrow. 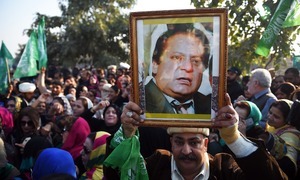 Khawaja Haris contends probe could not prove that Nawaz became influential only after becoming a public office holder. 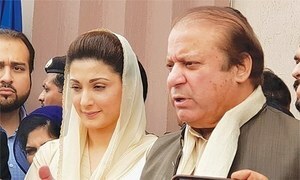 Accountability court posed 120 queries in Avenfield reference and 151 in Al-Azizia reference to former PM. 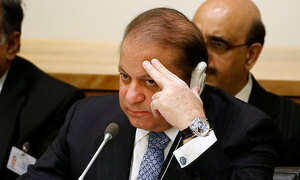 By the time the court rose, Nawaz had responded to 89 of the 151 questions in his testimony. 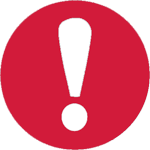 Flagship Investment reference investigation officer summoned for cross-examination after ex-PM records his statement. 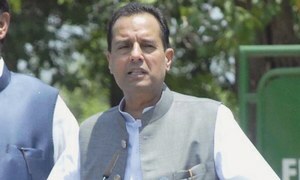 Safdar fears National Accountability Bureau will arrest him if he fails to appear before the bureau despite notices. 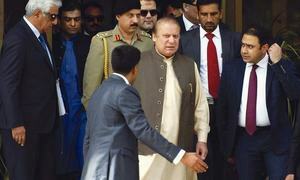 Chief Justice Mian Saqib Nisar will be heading the bench, which will start hearing the petition from tomorrow. Finishes recording testimony in Flagship Investment reference. 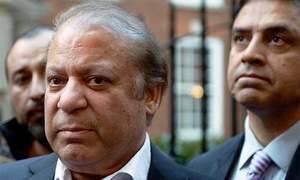 Court asks Zia to share list of evidence with Nawaz's lawyer to save time. 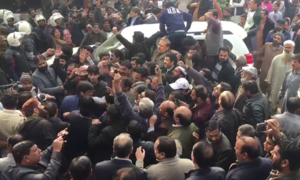 Will take two to three days to submit complete evidence related to case in court, says Zia. 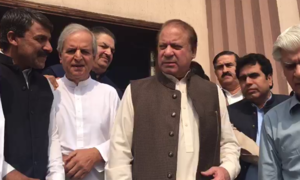 Witness testifies before court that documents produced by NAB in reference neither certified nor properly attested. 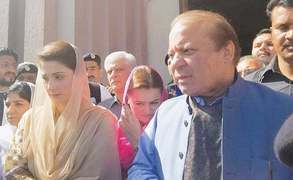 Ousted PM, Judge Bashir respondents in NAB petition against IHC order. 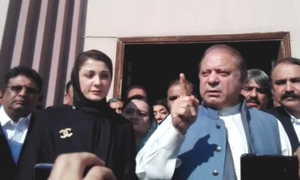 Analysing the trial that led to the arrest of the former prime minister. 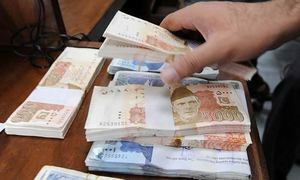 FBR recovers Rs6.2bn out of total demand created in 15 cases; Rs4.64bn remains under process. 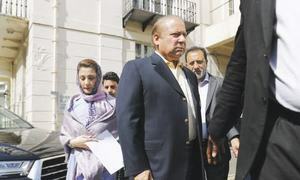 Khawaja Haris to continue cross-examination of Wajid Zia after the IHC will decide his plea against NAB. 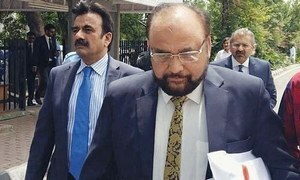 Wajid Zia the JIT in principle decided against sending any questionnaire to any of the witnesses. SC directs accountability judge to submit a progress report of the case on a weekly basis. 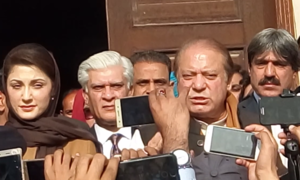 Accountability court is hearing Al-Azizia and Flagship Investment references filed by NAB. 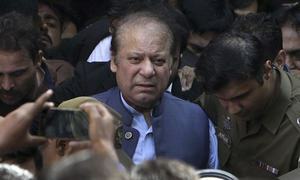 Accountability court decides to simultaneously conclude remaining two references against ex-PM. 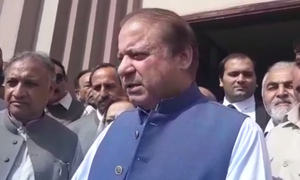 Incarcerated former prime minister speaks to reporters at the accountability court in Islamabad. 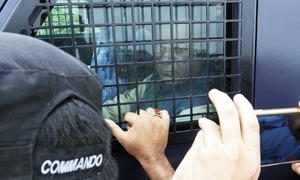 Nawaz brought to court in SUV, Shahbaz witnesses proceedings for the first time. 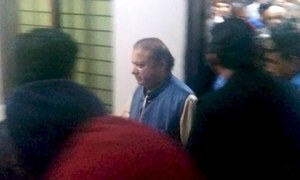 Wajid Zia, the star prosecution witness in the case, also appeared before the court.